First impressions are everything. Before consumers or potential clients even see your website, they are already formulating an opinion based on how fast your website loads. Ensuring your website is optimized and your landing pages are engaging is essential to increasing your conversion rate. The amount of call-to-actions (CTAs) your landing page has can either cause confusion or give direction to your visitor. 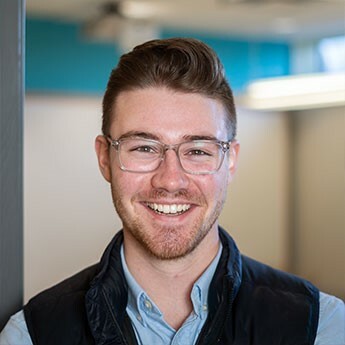 Unbounce found that landing pages with only 1 CTA had a 13.5% conversion rate, while those with even just 2-3 CTAs had a lower conversion rate. By giving direction and having unique landing pages, with a specific CTA, you are more likely to get desired website conversions. The internet is a competitive place. Odds are, someone else in your market is doing better than you, or they are trying to get ahead. If your website doesn’t load fast enough, that potential customer is likely clicking the back button, and going to the next website. Oversized images are a common criminal when it comes to creating inefficient landing pages. To potentially increase your conversion rate by close to 2%, all that is needed is to make sure your landing pages are free of oversized images. Humans have had trust problems since the beginning of time. Since then, nothing has changed, the same rules apply for your credibility. 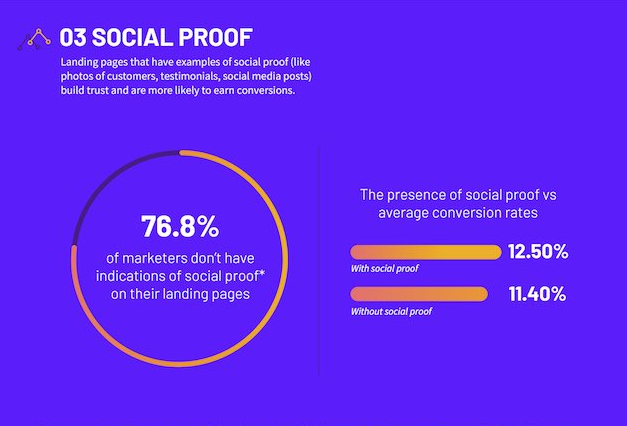 When comparing landing pages with social verifications, such as a testimonial or photo of a customer, and those without, the landing pages with an element of social verification are proven to have a higher conversion rate. Now get started with these 3 tips and boost your conversion rates! If you’d like to learn more conversion rate tips, take a read of this article over at MarketingProfs.